The Stanley Hotel and internationally renowned outdoor adventure experts, Kent Mountain Adventure Center (KMAC), have teamed up to create the best Rocky Mountain National Park Adventure activities and packages. Our custom tailored, all-inclusive Colorado winter vacation adventure packages are perfect for first-timers and seasoned thrill-seekers alike. 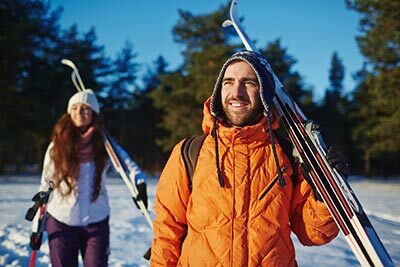 Explore our Colorado winter vacation packages below and enjoy the best winter activities in Colorado. Book an exciting getaway today! The exact timing and destination will be selected based on advance conversations with your guide. 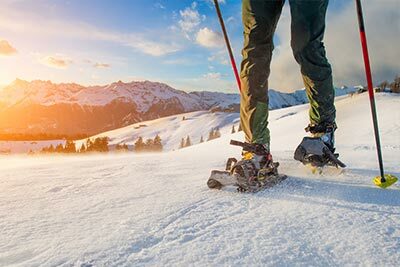 Join a Kent Mountain Adventure Center guide to discover the fun and freedom of snowshoeing in beautiful Rocky Mountain National Park. 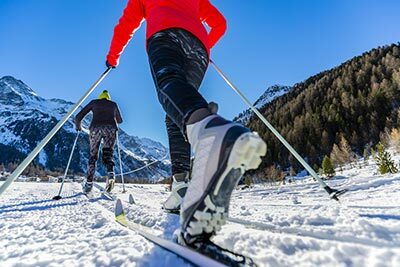 Introduction to Cross Country Skiing in Rocky Mountain National Park for all ages and abilities. 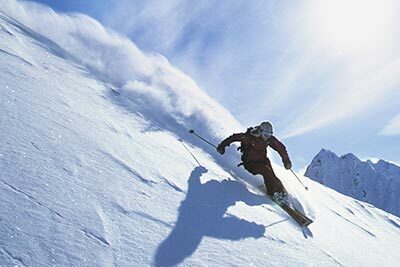 Join a KMAC guide to discover the fun and freedom of cross country skiing. ​The single best activity Estes Park and Rocky Mountain National Park has to offer in the winter! If you can ski/snowboard and don’t mind gentle walks in snowy mountains then you are ready to come touring with us! 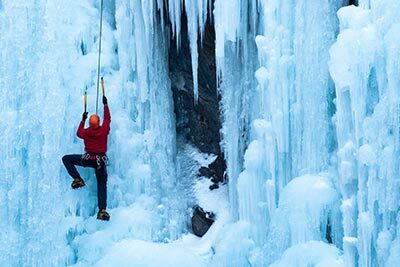 Your KMAC guide will take you to spectacular frozen waterfalls in Rocky Mountain National Park and show you how to use the latest state of the art ice climbing tools. You will learn the basics of how to climb waterfalls.